FLORAL PARK, N.Y. - March 15, 2019 - PRLog -- Quality In Real Time (QIRT), a business specializing in post-acute provider solutions, is proud to announce national re-certification as a Women's Business Enterprise by the Women Presidents' Educational Organization, a regional certifying partner of the Women's Business Enterprise National Council (WBENC). "The value of diversity in the workforce cannot be overstated - especially in healthcare provision of services. QIRT's diverse workforce allows us to understand cultural and population values better, and it enhances the role that QIRT plays in providing services to the post-acute industry," stated Laura Page-Greifinger, President and CEO of QIRT. "Being an experienced professional and a woman in this industry has allowed me to bring a unique perspective to the provision of services along with a component of organizational skills that have assisted QIRT's exponential growth during our time in the industry. I am proud of the role that QIRT plays, and the respect QIRT has earned in this industry. Quality means doing the right thing when no one is looking, and this carries over into our workforce and our services." 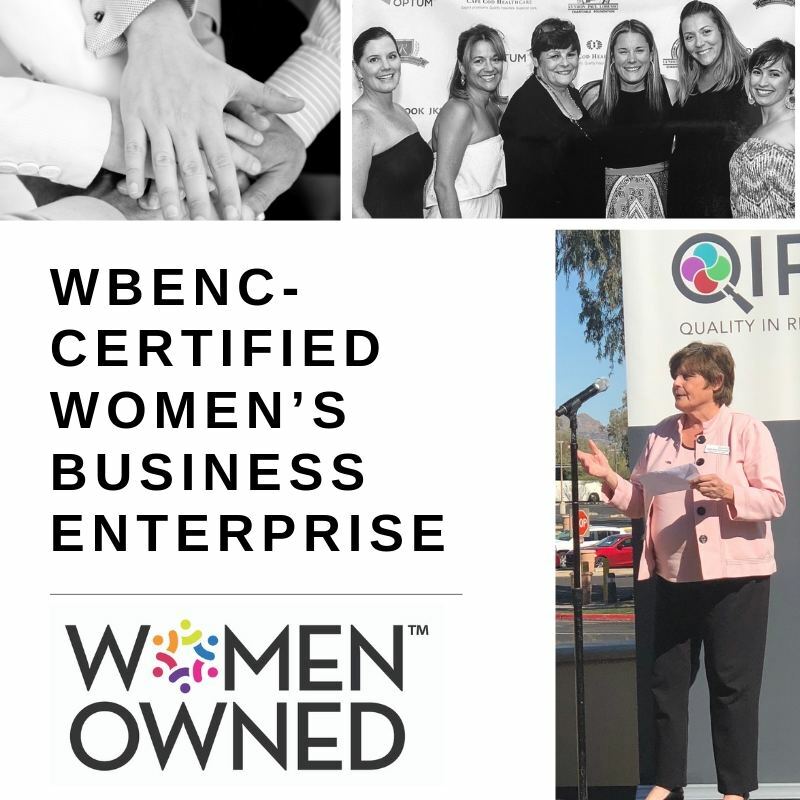 WBENC's national standard of certification implemented by the Women Presidents' Educational Organization is a meticulous process including an in-depth review of the business and site inspection. The certification process is designed to confirm the business is at least 51% owned, operated, and controlled by a woman or women. QIRT leads the post-acute industry in coding and consulting. Across the U.S., QIRT provides agency solutions via multi-level in-house and outsourced coding/OASIS reviews, QA, appeals, billing, consulting, and education. We pride ourselves on the highest quality, fast and accurate turnaround, and real-time reporting. QIRT introduced Quality Cycle Management (QCM) to post-acute agencies, improving comprehensive workflow processes and operations on the journey to quality. Learn more at http://www.qirt.com/.